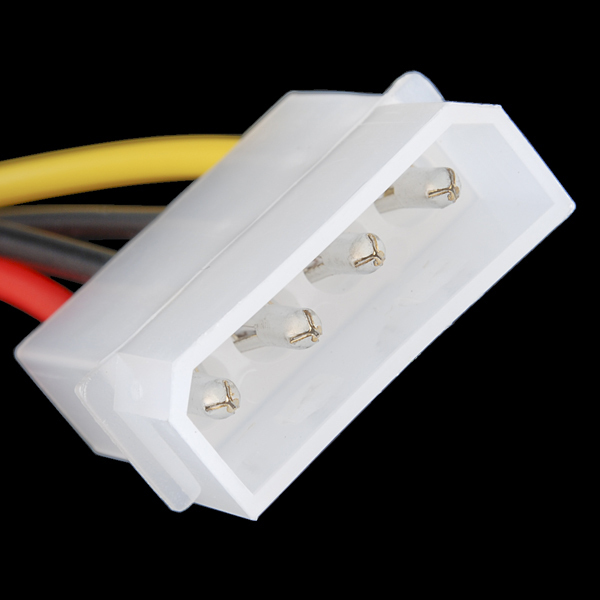 **Development: **The 4-pin Molex connector is pretty standard for disk drives and things like that but it's also a great general purpose power connector. If you're using a computer power supply to juice-up your project, this is a nice clean way to hook it up. These pigtail connectors break out to 4 standard-color 1ft. leads. 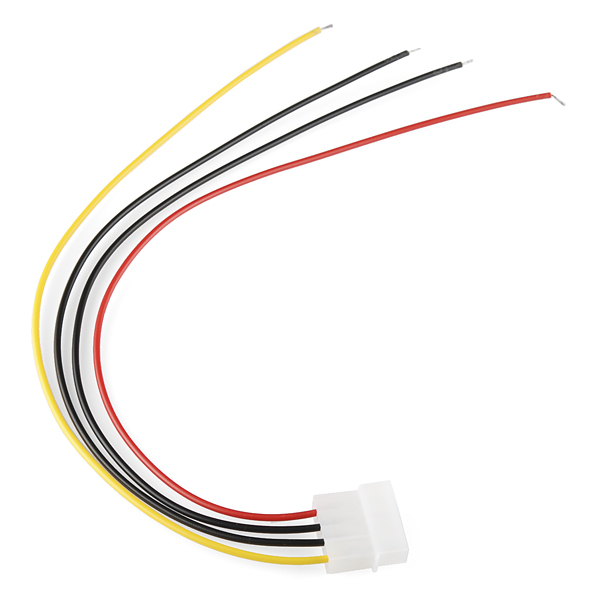 When connected to a standard supply the yellow wire will be the 12V line, the red wire will be 5V and the black wires will be the ground connection. Is there a female connector too? What is the gauge of these wires? We purchased several of these pigtails and the gauge was fairly small looks like 22ga according to the wire stripper. The ends were tinned which is nice. The crimp connections didn't seem very solid, wires were able to be pulled out of the crimped terminals without much trouble. This was a convenience for me but under normal cases I wouldn't want to be able to do that without cutting or breaking the wire itself. Does the 4 pin Molex Connector - Pigtail TOL-11298, witch is showing only the male connector, does it comes with the female part ? ?